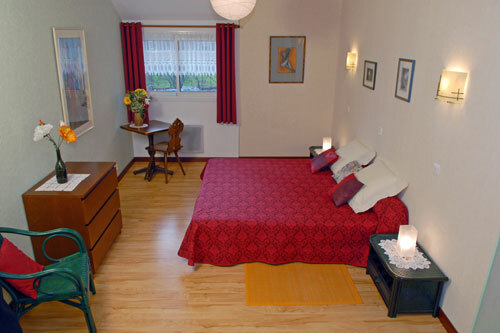 Our four spacious and comfortable rooms have an independent access and are prepared according to your wishes (double or twin). 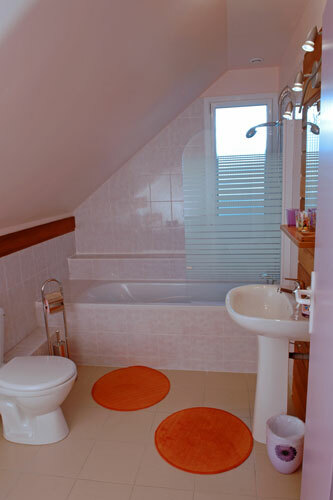 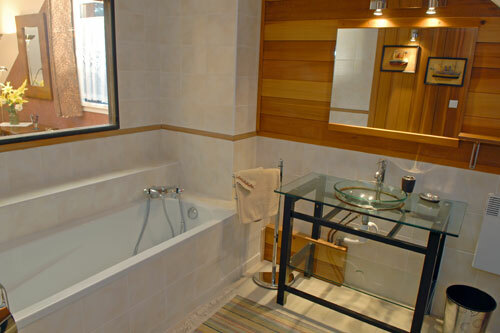 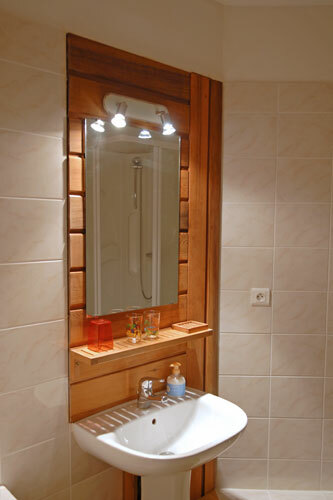 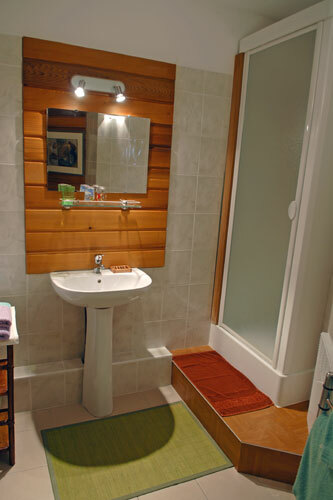 Each has a privative bathroom (shower cubicle or bathtub) and a TV connexion. 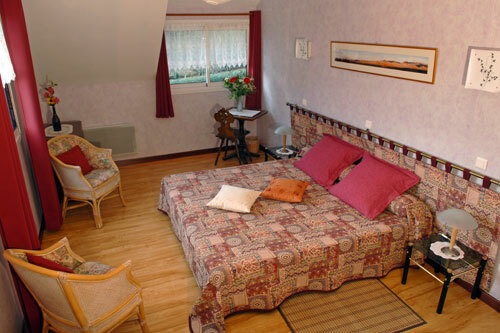 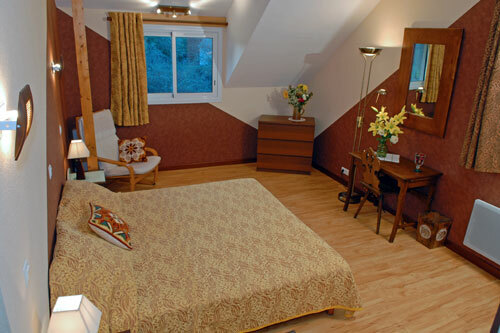 An additional bed of a person (consult our (rates). 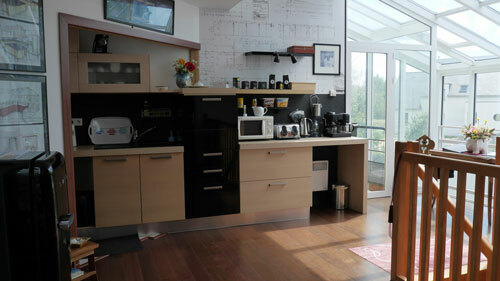 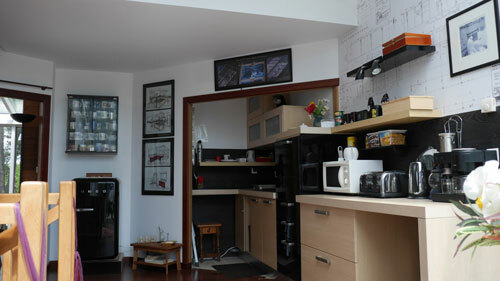 A little kitchen area with refrigerator and a microwave is at the exclusive arrangement of our guests. 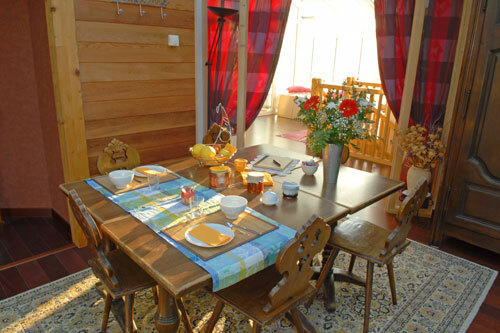 In the veranda, you will have a space for the home-made breakfast and you can perceive squirrels and rabbits in the pine forest.